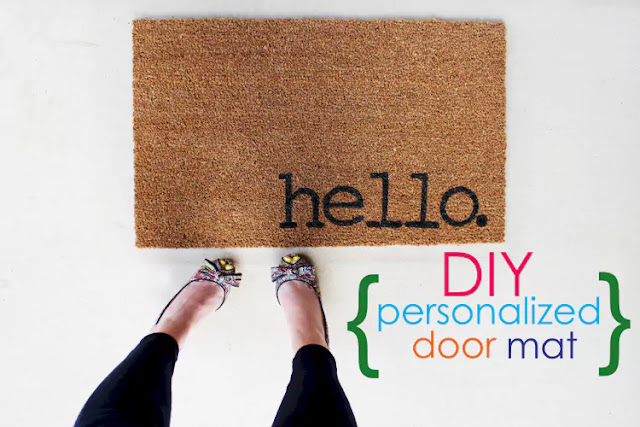 A little DIY or bring someone in to do it for you. A person's first impression of your home is from the curb. Hence the whole curb appeal thing. It is important to keep your home in tip-top shape. When spring rolls around, it's time to get busy, break out the gardening tools, and make sure your home is up to snuff. Curb appeal isn't just about your garden, though; there are tons of ideas and interesting projects that you can do in order to bring a little life to the front of your home. In today's day and age, you don't have to be a millionaire to have a magazine-worthy home. There are so many hacks and tricks to adding curb appeal without emptying the bank. To get you started this spring, here are 14 ways to add some curb appeal. If your home is in need of some new curb appeal, look no further than your front door. Paint your front door a bright, bold color. 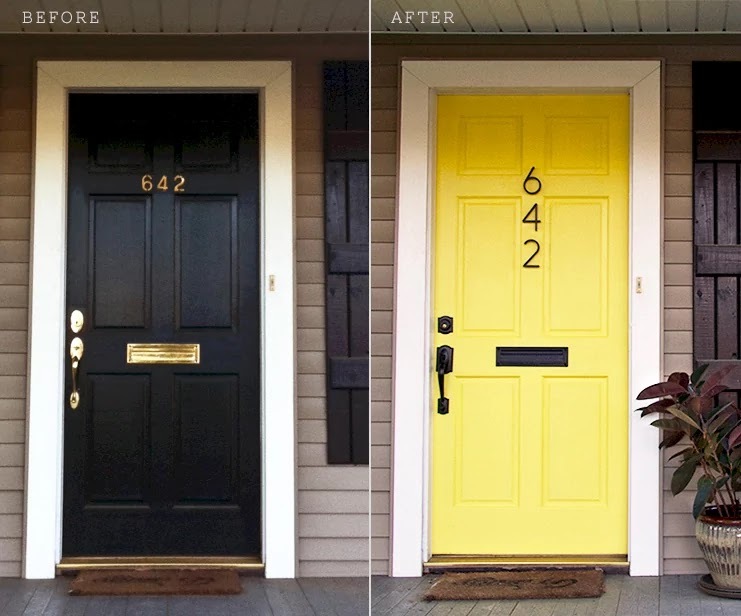 You'll be surprised how a little bit of a paint can totally transform your front stoop. While you're painting your door, give your knobs a little upgrade, too. Gold plated knobs are so dated. 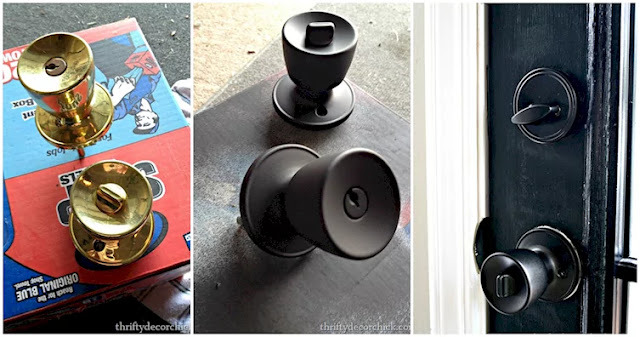 Why not try bringing your knobs into this decade with some spray paint? I love cute door mats — you know, the ones will all the clever sayings — but it seems that the more clever they are, the higher the price. After seeing this, I might just make my own! Give your front stoop a little personality by making your own door mat and welcome everyone into your home with a smile! If you have a boring, plain garage door, give it a little facelift by turning it into a carriage-style garage door. 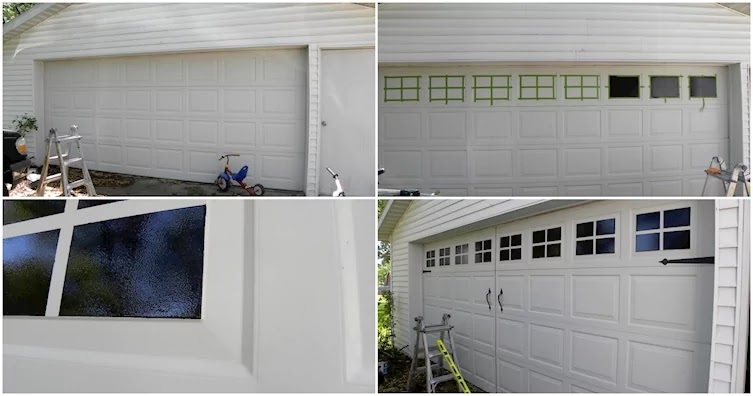 All you need is some paint, painter's tape, and a decorative garage door hardware kit. You can get the hardware kit from a home improvement store. This is a quick and easy DIY that you could do on a nice, sunny afternoon. If you have siding (especially white siding), your electrical boxes are probably quite the eyesore. They probably stick out like a sore thumb. 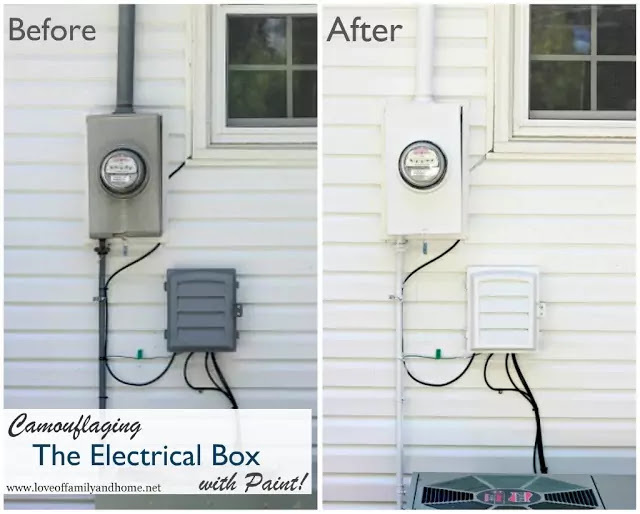 Camouflage your electrical boxes by painting them the same color as your siding. Much better! For great curb appeal, never, ever have a bare porch. Jazz up your porch with a branch ladder. You can switch our your decor based on the season. This is a great DIY for year-long use! 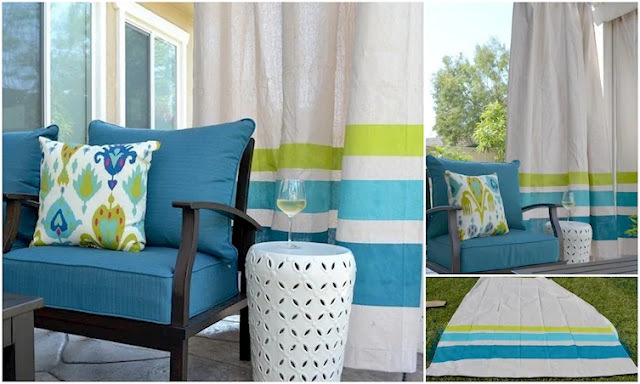 Bring your living area outside by adding some curtains to your front porch. This is decor for your porch and, when needed, a little extra privacy. You can purchase curtains, or you can make them by following this tutorial. Give your front porch a little character by making your own stone flower pots. 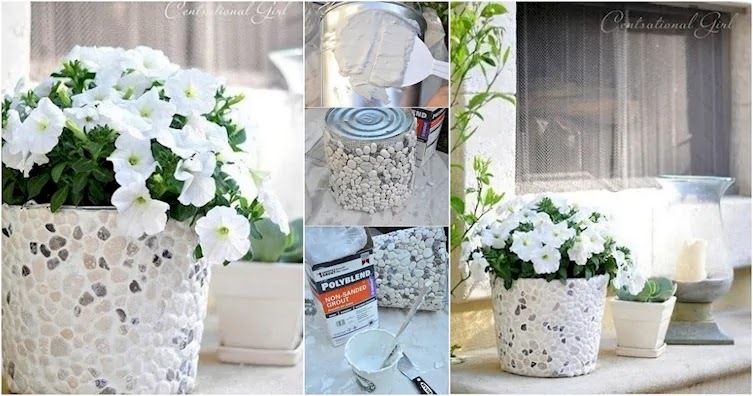 Create this easy and inexpensive DIY project and then plant your favorite flowers in your new pots. 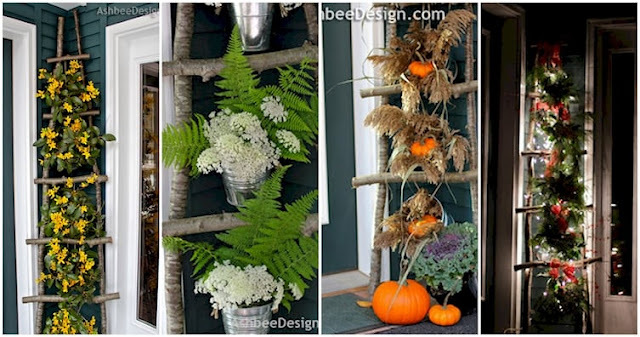 You will have your porch looking like something out of Better Homes and Gardens. Don't forget the side of your house. Sometimes, this area tends to get neglected. 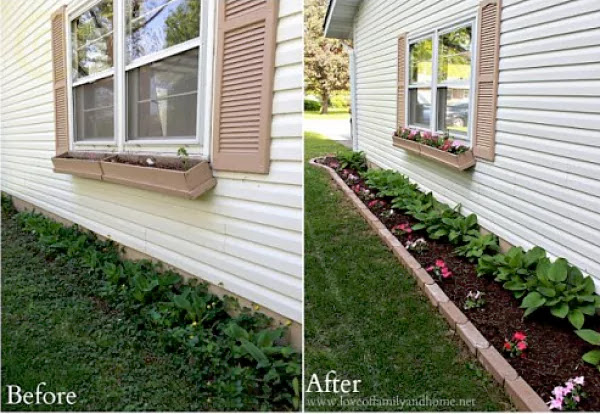 By creating a simple, long flower bed along the sides of your house, you can easily add a little extra curb appeal. 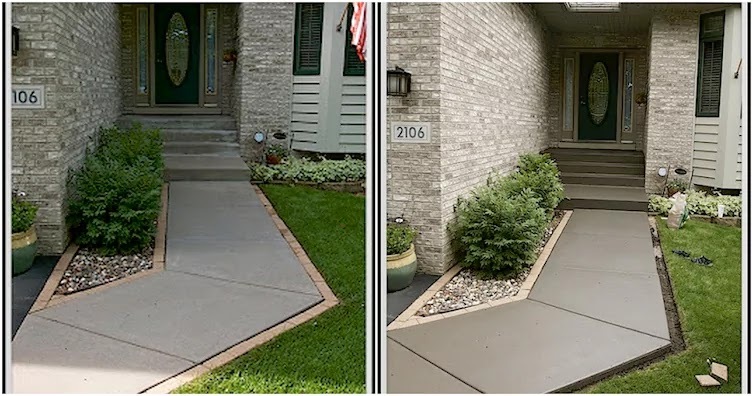 Snow, salt, rain, and the sun can be hard on your walkway and it can end up looking a little faded. You may not think about this, but giving your walkway a little TLC can really improve the look of your home. Follow this tutorial on how to stain your walkway. 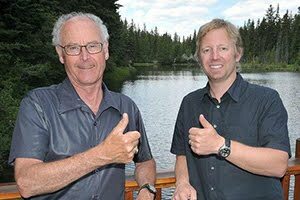 I think we can all agree, the after shot shows a nice improvement! 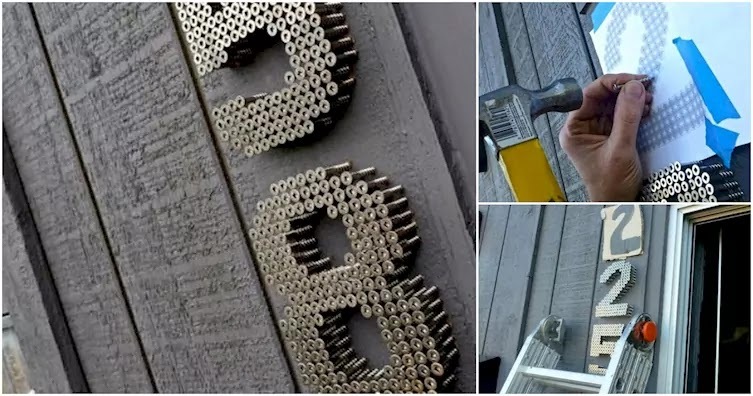 Take a new twist on displaying your house numbers and twist some screws into your facade! Using screws and a grid pattern from Photoshop, you can create these DIY house numbers. Easy peasy! Plus, you don't see something like this everyday, so your home will really stand out! Make sure your curb appeal lasts into the night. A great source of outdoor lighting is key to any fine looking home. 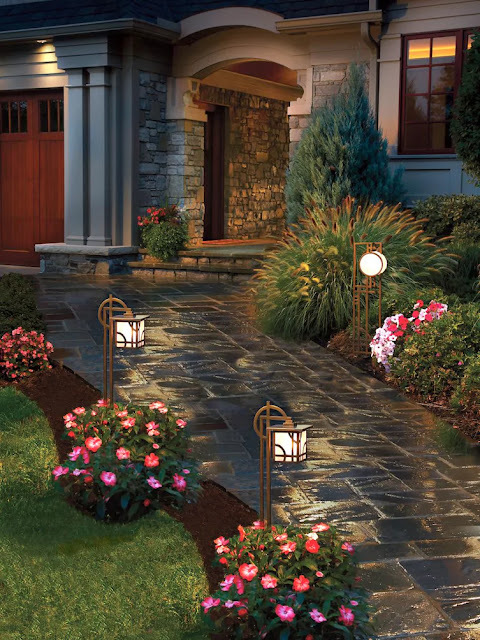 Even something as simple as lining your walkway with solar lights can make a huge difference. 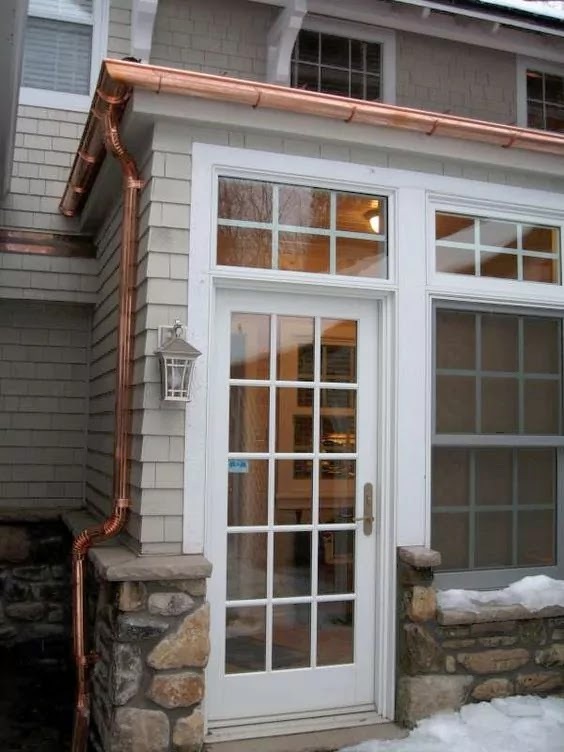 If you have an older home, chances are the gutters and downspouts are in rough shape. You can add some much-needed curb appeal by replacing them or even just giving them a fresh coat of paint. 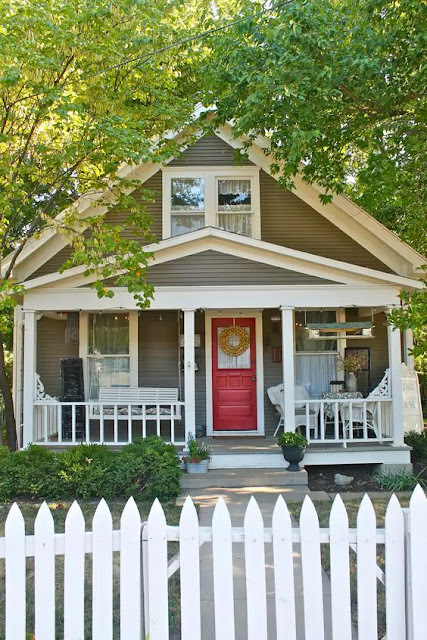 Sure, paint can be a bit expensive, but if you're really looking to upgrade your home's curb appeal, give it a fresh coat of paint.